I’ve spent the past two weeks working on integrations between Bungee Connect and various On Demand CRM suites. At the time of this blog post, I am making available three reference applications. These small and simple applications perform the basic functionality of authentication, reading data, and writing data. The code is well commented and straightforward, providing an excellent foundation for one to base their own code on.In a nutshell, I’ve performed the task of identifying the intricacies of each service and how they apply in Bungee Connect. You can access any of these applications by logging on to Bungee Connect and selecting them from the Open Example Code tree on the Design tab. In this example, I’ll be discussing some of the basics of the Bungee Connect reference app for Salesforce. The security token can be found by logging in to your Salesforce account and clicking Setup -> My Personal Information -> Reset My Security Token -> Reset Security Token. You new token will be emailed to you. Once you have your authentication information, you are ready to simulate the form and log in. The status message at the very bottom of the form will indicate a successful login. You should see a list of contacts from your Salesforce account in the listbox in the center of the form. 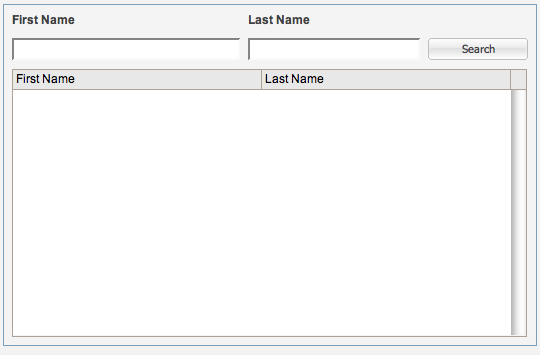 You can also add contacts using the controls at the bottom of the form. This screenshot shows the entire code for the adding a contact to Salesforce. The code is well commented, but you can see that it is only a matter of creating the “create” object, adding the contact from to form to the collection of objects to be added, and making the call to the service.